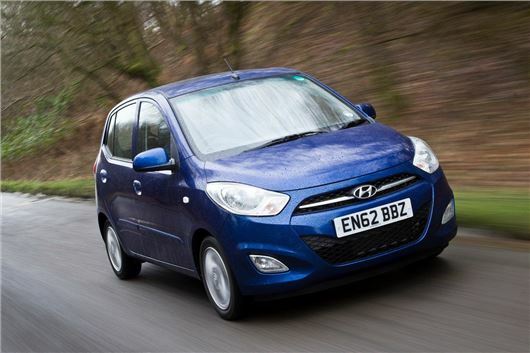 Hyundai is offering a discount of £1350 off the price of a new i10 as it looks to clear its stock levels before the new model goes on sale on 30 January, 2014. The offer makes the i10 one of the UK's cheapest new cars, with buyers able to drive away in a 1.2-litre i10 in Classic trim for £6995. There’s also savings of £1250 on i10s in Active trim, with prices starting at £7795. Both models get air conditioning, central locking and a CD player as standard, although Active trim benefits from 14-inch alloy wheels, front fog lights and electric door mirrors. As with all cars from Hyundai, the i10 is covered by five year triple care, with five years unlimited mileage warranty, five year roadside assistance and five year annual vehicle health checks. The offer applied to all i10s bought before 31 December and is subjected to availability.